In the legendary Poetic Edda, Ragnarok was foretold as a time of apocalyptic conflict. It was written as a time where great deceivers and foes revealed themselves and wagered all against the protectors of Midgard and Asgard. Monster and god alike fought to the death in hideous conflict and the world was drowned completely in an oceanic flood. By the time it was all said and done, the great champions Heimdallr, Thor and Odin were all killed. Odin was devoured whole by the great wolf Fenrir. Thor only barely defeats the even larger serpent Jörmungandr and in doing so, dies only steps later. This catastrophic battle has become known throughout the ages as “The Twilight of the Gods,” a mile marker that cements for once and all even the invulnerable higher powers of its mythology were truly anything but invulnerable. Vain? Fooled? Proud? Yes, but not truly immortal. Just like humanity that they either sought to rule or sacrificed themselves to protect, their existence was fragile and their time impermanent. These doomed gods and the dramatic mythology that spawned them were the inspiration for the equally legendary Marvel Comics character Thor created by Stan Lee and Jack Kirby a lean fifty-five years ago now. While never aimed at being a fully faithful transmutation of the timeless Viking fable, the character nevertheless became one of a slew of Marvel’s ever more famous fictions. Half a century later, we find ourselves knee-deep in perhaps the most successful series of movies ever created. Commonly known as the Marvel Cinematic Universe, it comes from the notion of the once flagging Marvel Comics company to take personal control of what properties they had not already licensed to other major studios, and place them together in a shared movie continuity. Most folks reading this are well familiar with the particulars from there. A scrappy, versatile Robert Downey Jr. brought this vision to life with stunning aplomb back in 2008 with Iron Man and it exploded into the consciousness of worldwide entertainment seekers with the 2012 group-assembling smackdown, The Avengers. Taking the best of the rest of Marvel’s A-team intellectual property—Iron Man, Captain America, Thor, The Hulk, Black Widow and Hawkeye—and building them up to a shared dilemma provided for a movie event of wildly entertaining and rewarding proportions. Fans ate it up, and delighted in the chemistry that the film’s well-groomed stars Downey Jr., Chris Evan, Jeremy Renner, Scarlett Johannsen, Mark Ruffalo and Chris Hemsworth shared. The studio, by then assimilated up into the gargantuan Disney empire never stopped to look back after that. Just five and a half years from that milestone, the MCU now stands to release a staggering 17th film. This one in question today, the climactically titled Thor: Ragnarok. This, the third feature film to be focused on Marvel’s character Thor aims for the fences in a big way. 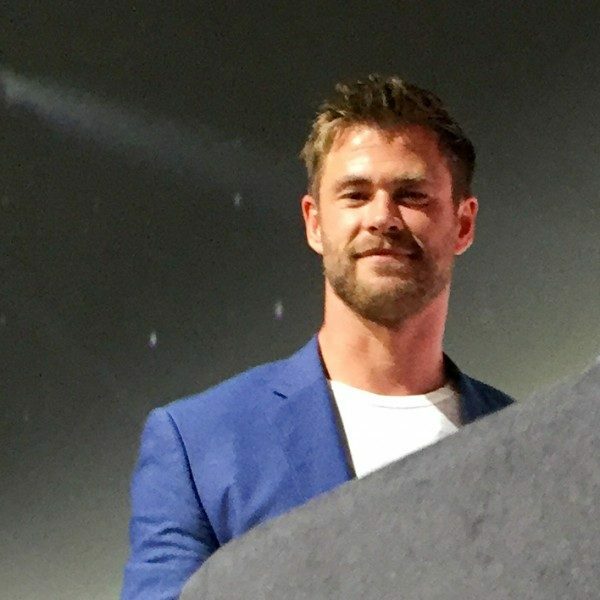 The star, producers and director of the film all acknowledge a fervent desire to wholly reinvent the “Thor” franchise after a seeming dissatisfaction with the prior two movies. The Kenneth Branagh directed Thor in 2011 introduced the character leaning towards a Shakespearean gravitas and then immediately turned that approach on its head, dumping the muscle-bound, lavish prose of Thor into the slang-filled modern-day Earth. It was a superhero fish out of water story. In the wake of the success of The Avengers, the 2013 Alan Taylor directed release Thor: The Dark World melded the fantastical characters into an almost science fiction redux and slightly amped up the comedy in inventive ways. Thor: The Dark World has become one of the few MCU films to be regularly bagged on by pundits, and what was a worthy expansion of the characters’ world has become unfairly maligned as being the canon’s most dour entry. Its greatest flaw might just be serving as the least good entry amidst the first sixteen films in the shared universe. If that’s the worst that can be said of it, Marvel Studios impresario Kevin Feige and the whole “House of Ideas” as it’s known, will likely sleep well at night forever. Nevertheless, this segue in the story has led to this (perhaps) final installment of the Thor films. It should surprise no one reading this, that the changes made tonally and structurally have rendered what is undoubtedly another colossal hit for the Marvel Cinematic Universe. This one is particularly hard to dissect as virtually just about every minute features some kind of substantive change, reveal or at the least, a funny gag. 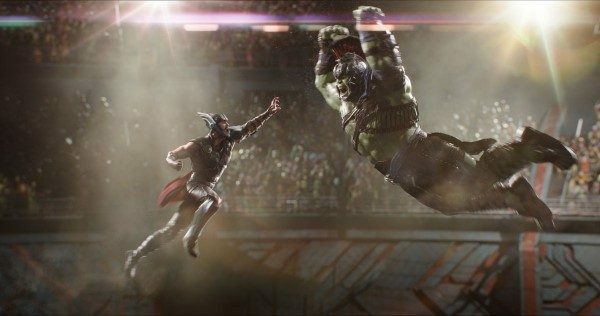 The much ballyhooed trailers for Thor: Ragnarok spoke to major plot points (the coming of Hela, Thor’s gladiator fight with Hulk) but fans might notice little else was revealed in subsequent trailers and footage. This was wise on Marvel’s part as like a Game of Thrones episode damn near everything they could have shown might have ruined some pivotal development that people deserve to experience firsthand. Criticisms levied elsewhere about plot problems proved to be unfounded. Everything makes sense and the certifiably ambitious goals that where defined for Ragnarok’s movie are all accomplished by the story’s end. Without revealing anything crucial, certain things are essential parts of the story here. Most prominently, this movie finally connects the dots on the endings of both Avengers: Age of Ultron and Thor: The Dark World. Yes, it’s finally revealed what happened to Odin at the conclusion of the last Thor (where he is, how Loki did it and what Loki’s been doing in the meantime) and where the Hulk went after he felt betrayed by Black Widow in the ramp-up to the massive fight with Ultron. What’s most interesting about this explanation is the story gives you just enough info to connect the dots, but takes no time to give you a protracted cut scene to explain it all. Like a good episode of True Detective, the details are all there and if you pay attention you can definitely piece it all together, but the movie deftly avoids bombarding you with flashbacks. You get what you need in order to understand, and then it moves right along to the next part of the story. So the Mighty Thor himself opens the film imprisoned somewhere far off course, as he has been hunting in vain to find out what may or may not have been going on with those pesky infinity stones. Quickly from there he is back on Asgard and is unraveling the mystery that all fans have known the secret to since the closing moment of Thor: The Dark World. With the help of Doctor Strange (an effortlessly funny Benedict Cumberbatch) he’s on his way to decode the mystery. It’s not long after that where the much advertised and infamous Hela (Cate Blanchett) arrives and all Hell breaks loose. Putting her motives and back-story aside (you will understand when seeing the movie) Blanchett’s performance is exactly what you would expect from her: brilliant. Hela is sadistic and confident. Malevolent in a frictionless way. Bringing whole civilizations to heel is like a fish needing to be in water for Hela. This is the air in her lungs. Blanchett plays the character as if she’s been longing to flex this particular acting muscle for a long time. Anthony Hopkins (his third appearance as Odin) may not have a massive role in the movie, but the directing gives his performance a luminance that certain parts of the previous two movies could not come close to. His part is essential to understanding the failures and successes of the Asgardian realm and the royal family itself. Tom Hiddleston is back as Loki, the mischievous demigod everyone loves to hate. While Loki is indeed true to his betraying nature, this might be the first time the character has actually grown in a Marvel movie. Hiddleston gets a chance to bring more than his sardonic grin to the developments and portrays a wide array of complicated evolution. It’s no surprise that he pulls this off with precision. Mark Ruffalo returns as The Hulk/Bruce Banner as well. This time, the production team has actually managed to both convincingly capture Hulk’s berserker rage and also allowed Ruffalo to fully breathe life into the CGI rendering of the character. Hulk may sound like a petulant four year old, but it’s Ruffalo’s unmistakable acting quality and skill making each sound, tick or facial expression work. This time, you feel Ruffalo inside the monster. Tessa Thompson is introduced as Valkyrie, a spiritual nod to the pegasus riding female warriors from ancient mythology. 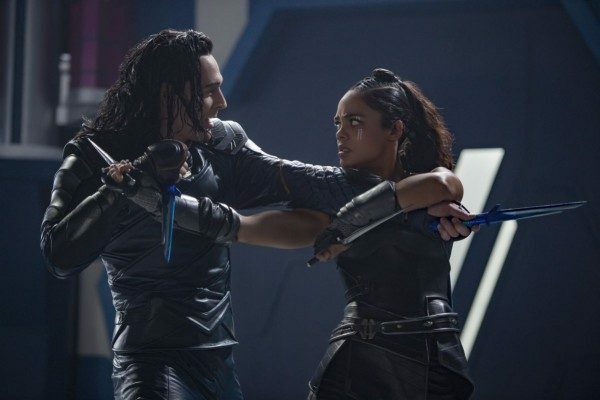 Valkyrie appears in the junk-world Sakaar and pretty much rolls with more cocksure swagger than the most mega confident ‘80s action star. It’s an impressive showing for a relatively lesser-known actress (amidst this cast) and immediately solidifies this character as one fans will be clamoring to see for years to come. Even Jeff Goldblum gets in on the fun playing the bizarre and tyrannical Grandmaster, the leader/runner of Sakaar. It’s an odd inclusion, but the role fits Goldblum like a glove as his unique phrasing and comedic timing becomes the perfect vehicle for an odd character focused for millennia on making heroes fight to the death. And last, but certainly not least is the God of Thunder, Chris Hemsworth himself. 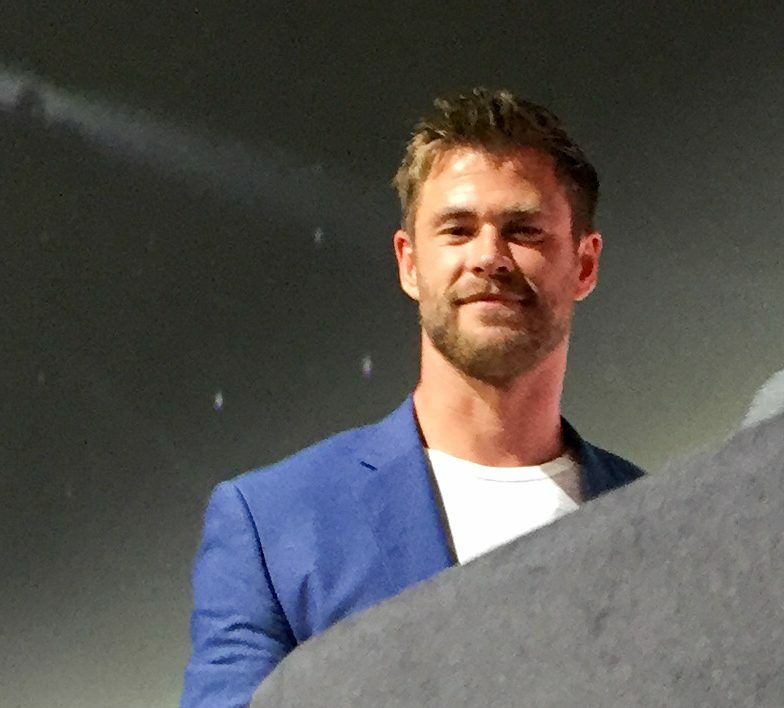 Hemsworth has already become a superstar on the world stage behind his prior appearances as Thor and his willingness to show off his comedic chops (see Vacation and the recent reboot of Ghostbusters). This might be his career-defining performance, as he looks unabashedly gleeful in this film. For any moment he does not appear as a credible, hunky action star, he’s cracking one hilarious joke after another. It’s important to be clear here: he’s not making fun of superheroes or comic movies, nor is he trying to be ultra snarky/sarcastic a la Ryan Reynolds in Deadpool. What he is doing is literally cracking jokes in the conventional sense at almost every opportunity. What’s most impressive about it all is that pretty much all of them land and are funny. Hemsworth might have missed his vocation as the “Will Ferrell” we never knew we needed as he might be the most hilarious action hero to ever take over the big screen. The vibe is infectious, and all of the film’s stellar cast get in on the fun. Even Hela gets a few zingers in you would not expect while she’s destroying, sermonizing and conquering. 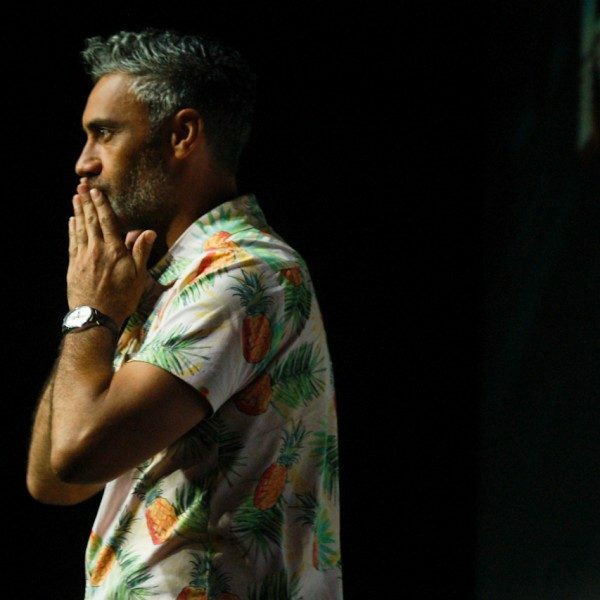 The credit undeniably goes to the whimsical brilliance of director Taika Waititi. You may not know the name yet, but odds are he’s going to go down in history as one of the great comedic directors of all time along with titans such as Blake Edwards and Judd Apatow. If you are not already familiar, do yourself a favor and go watch his films Eagle Vs. Shark, What We Do in the Shadows and The Hunt for the Wilderpeople right now. Each is mirthful comic gold. Wilderpeople in particular might be the most underrated movie of last year. His imprint is massively evident throughout the entire movie. Each actor inhabits the character wholly and somehow, always catches the opportune moment to use their character’s flaws or oddities to make some witty joke as the circumstances unfold. Waitit even takes a scene-stealing turn as the motion capture and voice acting for a lovable rock monster named Korg. There are many things to praise about this elaborate sci-fi-fantasy-buddy-comedy-road-trip movie, but one thing might be its best achievement. 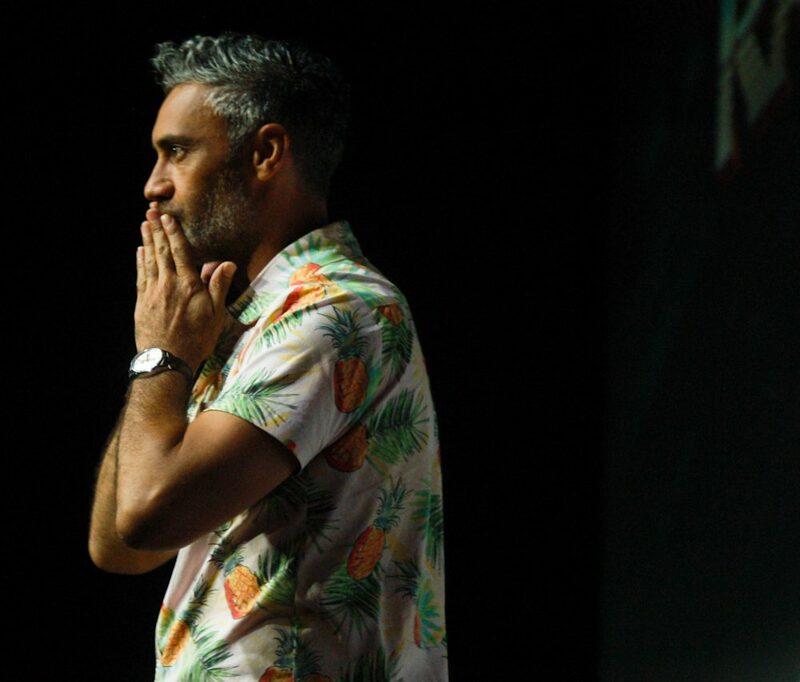 Thor: Ragnarok impossibly features the sterling quality that the MCU is famous for and a dark story where literally scores of people die that never for one moment ceases to be entertaining. That’s a delicate balancing act. Most directors would have found themselves stuck either making an unbalanced hodgepodge or something bleak and brutal. Here, the importance of an apocalyptic series of universe-changing events always feels like a thrill ride and only the most careful and confident of hands could have pulled that off. The results of this complicated array will almost certainly become another mythic entry into the already mega successful and praised collective we call the Marvel Cinematic Universe. 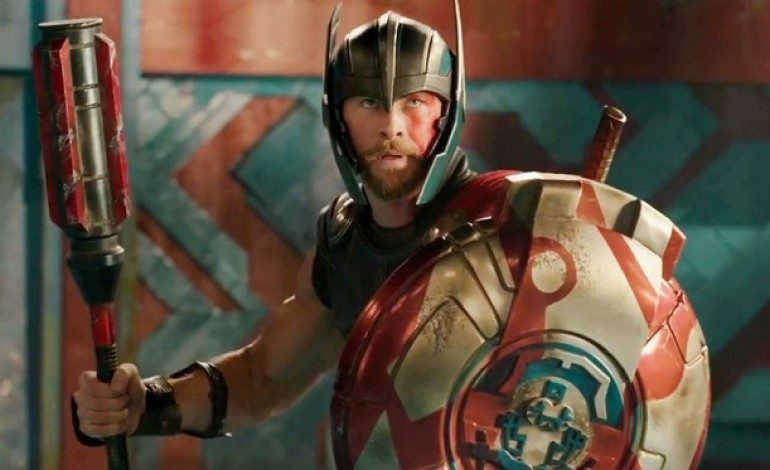 Not the least of which, it is undoubtedly the most fun an MCU title has been since the original Iron Man and will easily stand as the best of the three Thor movies. Thor: Ragnarok may share little in common with the original Twilight of the Gods that was genesis of the moniker Ragnarok–though there is a fun fight with a gargantuan wolf called Fenris—but its totality is on an equal scale of importance with how the original mythology changed the fiction of its characters. By the time all this is said and done, not only are you profoundly entertained, but also the entire universe of this fiction is altered irrevocably forever. Marvel Studios made a play to revolutionize what the story of Thor could accomplish and it succeeded on every level imaginable.